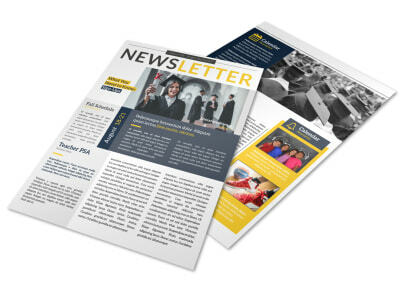 Keep parents, co-workers, and students in the loop with newsletters you customize using our education & training newsletter templates. Our customer-centric online editor makes designing your newsletter fast and fun. Just pick a template, upload newsworthy images accompanied by text in your choice of fonts, colors, and sizes. 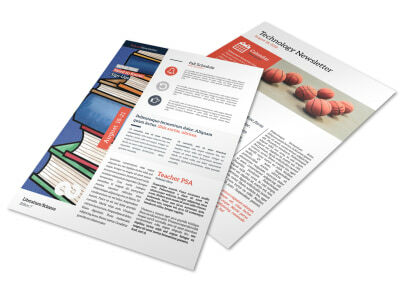 Print your newsletters from where you are for instant distribution to your subscribers, or let us print them for you to put a professional slant on your finished design. 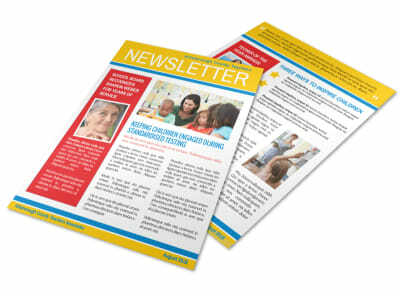 Return again and again for fresh newsletters each month or quarter. As a school administrator, keeping parents, students, AND faculty apprised of your building’s happenings is no small task. 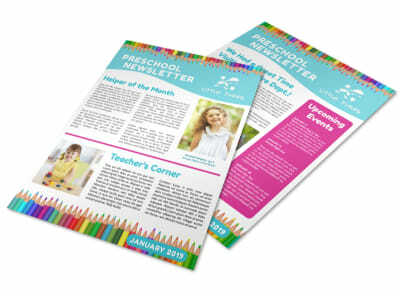 Streamline your communication methods into one regular, consolidated school newsletter that has something for everyone. Depending on the size of your district, include a note from the desk of key personnel -principal, vice-principal, superintendent – select one or two individuals who have something meaningful to contribute. The school’s Parent/Teacher Organization could have its own section, and updates from in-season athletic teams, school clubs, music, drama, student council, and other student-run organizations should each be awarded real estate. Include an events calendar that covers the time period before the next issue – athletic events, programs, concerts, school breaks – and throw in a lunch menu for moms and dads busily prepping cold lunch for those tuna surprise days. 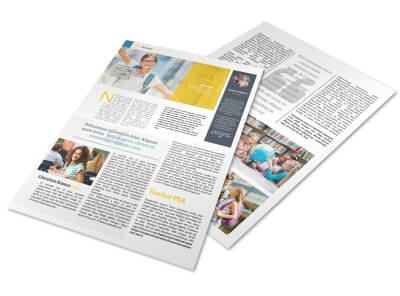 MyCreativeShop makes it a breeze to produce a consistently-branded newsletter that promotes community trust and confidence – you’ll ace the test in no time!